DAVID LE/Staff photo. 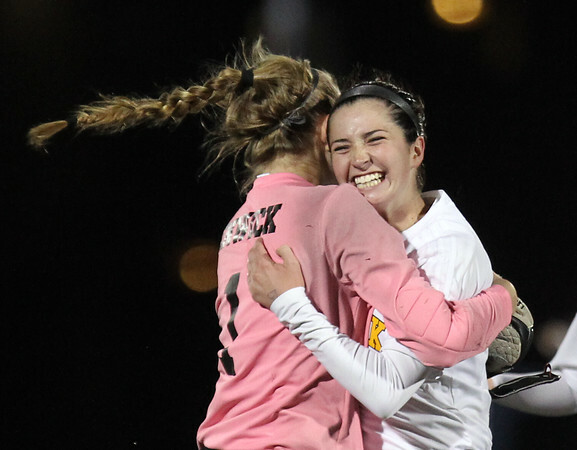 Bishop Fenwick senior Ellen Fantozzi (3) mobs senior teammate and goalie Merry Harrington (1) after the Crusaders knocked of the Swampscott Big Blue 1-0 in the D3 North semi-final on Tuesday evening at Manning Field. 11/10/15.